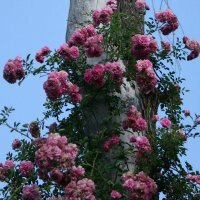 Cover old trees with blooms: Rambling roses look fantastic clambering through the branches of old fruit trees. They extend the trees' season of interest and add a splash of flowers at eye level. Old trees also provide robust support for flowering stems laden with blossom. 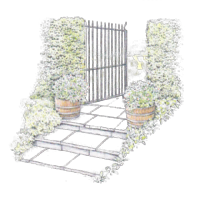 Choose vigorous varieties: 'Rambling Rector' climbs to about ten metres with canes spreading around five metres in a single season, 'Bobbie James' reaches over six metres and the sweet-smelling, pink-flowered' Paul's Himalayan Musk' is also recommended. Rosa longicuspii and 'Sir Cedric Morris' are two varieties that will flower prolifically, producing hips in late summer and reaching a height of seven to ten metres. For a little more colour choose the blush-pink-flowered 'Kew Rambler', with branches spreading to over eight metres and wonderful rose hips. 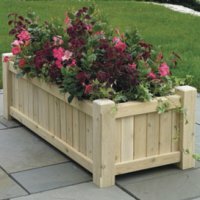 Make rose beds more interesting: A bed that is home only to roses can look sparse for much of the year, when the roses are not in flower. 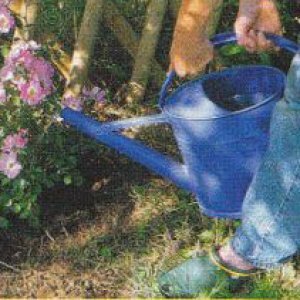 To add some interest and 'clothe' the bare lower stems of large-flowered roses, plant perennials such as alchemilla, dwarf potentilla, nepeta, sage and artemisia. Hostas are also a good choice, especially those with variegated or blue-tinted foliage. 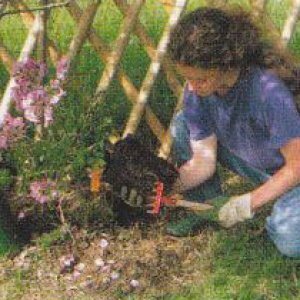 Weed suppressors: Covering the bare soil in a rose bed with ground-cover plants will also smother the weeds. Lavender bushes make an attractive combination with roses. The silvery grey foliage is a wonderful foil to the colours of the blooms, and the fragrance also repels some garden pests. Modern rose varieties include an increasing number that reflower in late summer and remain in bloom until the end of October. They are available in all colours. 1. Red: 'Alec's Red', 'Ena Harkness' and 'Tess of the D'Urbervilles' are good reds. 3. Orange and yellow: 'Rusticana' has orange flowers, while 'Golden Wings' is a light buttery yellow. 2. 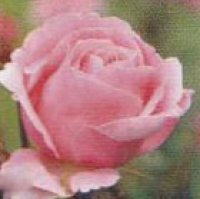 Pink: ' Anne Boleyn' and 'Queen Elizabeth' produce pink flowers. 4. 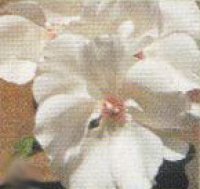 White: 'Anito Pereire' boasts pure white flowers until the first frosts, even in rainy areas. 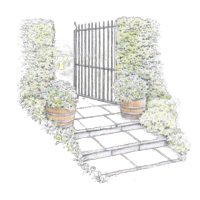 and 'Glamis Castle' reflowers with prolific white blooms. 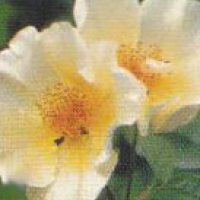 Foliage: Some species and hybrid roses are grown for the appeal of their feathery foliage and attractive hips, in addition to their flowers. Varieties in the Rugosa and Pimpinellifolia families have many tiny leaves which turn from lustrous bronze to orange, even red, in autumn, and many also produce glossy hips. Roses with both ornamental foliage and hips include Rosa rugosa and Rosa glauca. 1. 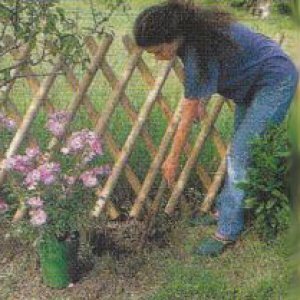 For the best results plant roses in autumn or early spring. Choose plants that have at least three healthy, well-balanced branches. into the top of the container. 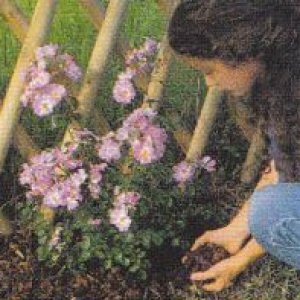 around the base of the shrub to keep the soil moist.